Step aside, grains and salad greens, zucchini is here. 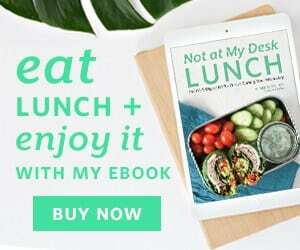 So often we can fall into the trap of just putting vegetables on a bed of grains or salad and calling it a day. I do it all the time! But not today. Today, the vegetable, our beloved zucchini, is the main attraction. Zucchini’s level of starchiness combined with a quick sauté produces a wonderfully substantial and toothy “noodle.” All you need is a good vegetable peeler (bad ones are just dull and so infuriating) or a mandolin and voila, you too can make zucchini pasta. The quick sauté also keeps some slight crunch and texture to the zucchini, a great departure from your normal fork-tender vegetable. And we can’t have pasta without some sauce, right? To keep this light and keep the focus on our star, the zucchini, I made a bright, zingy pesto. This pesto, unlike most, is parmesan-free, cutting some of the fat that usually comes with pesto and makes it vegan friendly. And you’d be surprised just how much you don’t miss the parmesan! 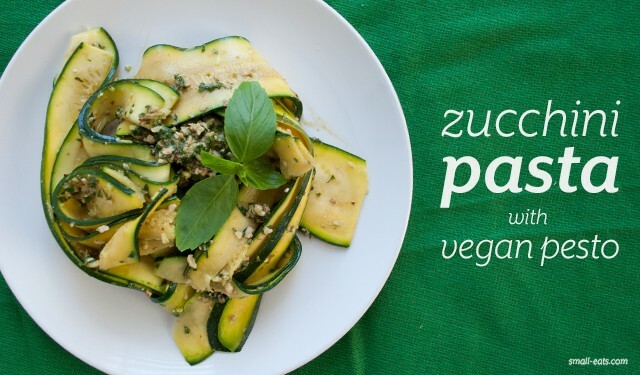 The zingy pesto and toothsome zucchini come together for a satisfyingly fresh summer dish that you and your small table can savor all summer long. In a food processor, combine basil, almonds and garlic. Run the food processor, pouring the olive oil in the feeder tube. Process until a paste forms, and add more olive oil to achieve a smoother pesto, if desired. Add lemon juice and salt, to taste. With a vegetable peeler or mandolin, shave the zucchinis into the noodles. You have greater control of the width of the noodle with a mandolin. Try for a noodle about 1/4" thick. Place all noodles in a bowl. Heat a medium to large saute pan with olive oil to medium heat. In batches, saute the noodles for about 2-3 minutes. If they start to look translucent, they're ready. The noodles shaved closer to the center may break because of the seeds, and that's okay. Place the noodles back in the bowl. Spoon the pesto in and toss to combine. Serve.